The FTD® Pink Profusion™ Bouquet bursts with every shade of blushing beauty. 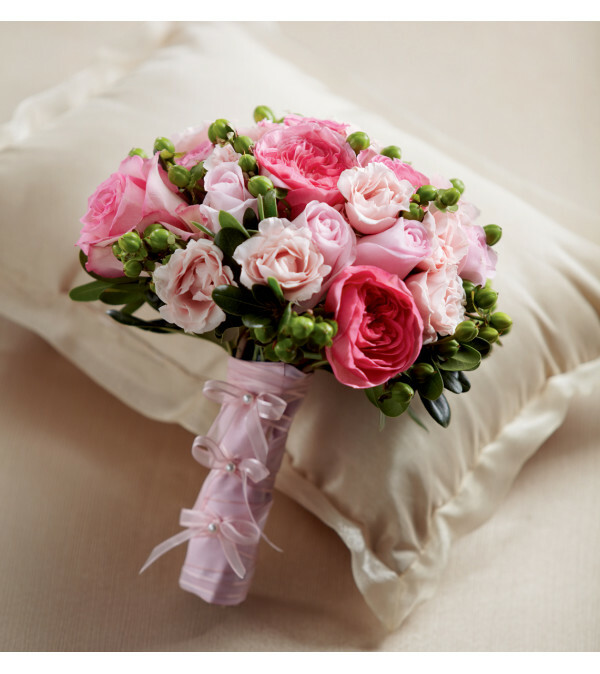 Pink roses and spray roses are brought together with bi-colored pink roses, fuchsia garden roses, green hypericum berries and lush greens to create a gorgeous bouquet. 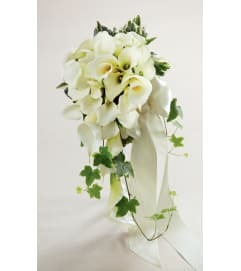 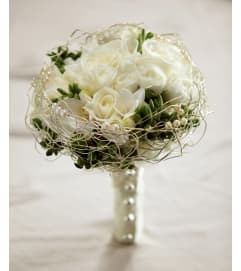 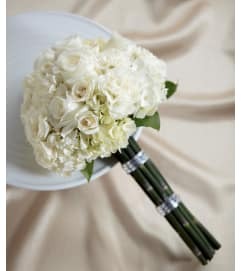 Tied together with designer pink satin ribbon accented with pearl pins, this bouquet makes a gorgeous statement as it is carried down the aisle.